In an earlier piece we discussed pregnancy complications that require an early delivery and at what gestational ages delivery should occur. In this article, we take a more in-depth look at maternal and obstetrical issues that are an indication for preterm delivery. If your child has hypoxic ischemic encephalopathy (HIE), seizures, cerebral palsy or any other birth injury, email or call the award winning medical malpractice attorneys at Reiter & Walsh ABC Law Centers. Unlike other firms, the attorneys at Reiter & Walsh focus solely on birth injury cases and have been helping children throughout the nation for almost 3 decades. 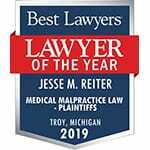 The partners of the firm, Jesse Reiter and Rebecca Walsh, were recently recognized as being two of the best medical malpractice attorneys in America by U.S. News and World Report 2015, which also recognized Reiter & Walsh ABC Law Centers as one of the best law firms in the nation. In fact, U.S. News and World Report has given Mr. Reiter the honor of being one of the “Best Lawyers in America” every year since 2008. Mr. Reiter is the president and founder of ABC Law Centers, a national law firm of medical malpractice attorneys who focus on birth injury cases. Call us today; our toll-free number is 888-419-2229. We give personal attention to each child and family we help and our firm’s attorneys are available 24 / 7 to speak with you. The fetus develops inside the womb (uterus) during pregnancy and is surrounded by amniotic fluid. The placenta, which is attached to the inside of the womb, helps bring oxygen and nutrients to the fetus from the mother. Oxygen and nutrient-rich blood travels through vessels that run between the uterus and placenta, and this blood is delivered to the baby through the umbilical cord, which arises from the placenta. Conditions that affect the uterus, placenta, umbilical cord and amniotic fluid can cause birth injuries that result in the baby having hypoxic ischemic encephalopathy (HIE), infection, sepsis, meningitis, brain damage, seizures, cerebral palsy and other lifelong conditions. Described below are some maternal issues that can affect the environment of the unborn baby and thus require early delivery. High blood pressure (hypertension) during pregnancy can prevent the placenta from getting enough blood, which means the baby will receive less oxygen and nutrients. Preeclampsia is a more severe form of hypertension, and it is diagnosed when the mother has hypertension that is diagnosed after 20 weeks of gestation along with dysfunction in some major organs. Preeclampsia poses the additional risks of the mother having kidney failure, a hypertensive crisis, HELLP syndrome, and eclampsia. These conditions are life-threatening for the baby. The conditions caused by mismanaged hypertension and preeclampsia can result in the baby having birth injuries such as hypoxic ischemic encephalopathy (HIE) and cerebral palsy. In order to prevent brain damage in the baby, certain circumstances require early delivery. Long-term (chronic) maternal hypertension not being treated with medication. In this situation, delivery should occur at weeks 38 – 39. If additional complicating issues are present, such as (IUGR/FGR), preeclampsia, etc., an earlier delivery may be indicated. Chronic maternal hypertension controlled with medication. This condition requires delivery at weeks 37 – 39. If there are additional complicating issues, such as (IUGR/FGR), preeclampsia, etc., delivery may need to occur at an earlier date. Chronic maternal hypertension that is difficult to control (requires frequent medication adjustments). In this case, delivery should take place at weeks 36 – 37. If additional complicating issues exist, such as (IUGR/FGR), preeclampsia, etc., an earlier delivery may be indicated. Gestational hypertension (hypertension that begins during pregnancy). When a mother has this condition, delivery should occur at weeks 37 – 38. Severe preeclampsia. This condition requires that delivery take place as soon as the mother is diagnosed, as long as the pregnancy is at 34 weeks or later. If additional complicating issues exist, such as (IUGR/FGR), an earlier delivery may be indicated. Mild preeclampsia. When the mother has mild preeclampsia, the baby should be delivered at 37 weeks. If there are additional complicating issues, such as (IUGR/FGR), delivery may need to occur at an earlier date. In order to prevent the baby from having brain damage, early delivery is indicated in certain circumstances. Diabetes that the mother had prior to becoming pregnant (pregestational) that are well-controlled. Late preterm birth or early term birth is not recommended. However, if additional complicating issues exist, such as (IUGR/FGR), preeclampsia, etc., an earlier delivery may be indicated. Pregestational diabetes coupled with vascular disease. These conditions require that the baby be delivered at weeks 37 – 39. If additional complicating issues are present, such as (IUGR/FGR), preeclampsia, etc., an earlier delivery may be necessary. Pregestational diabetes that are poorly controlled. This situation requires that delivery take place at 34 – 39 weeks, with specific timing individualized to the mother’s situation. If there are additional complicating issues, such as (IUGR/FGR), preeclampsia, etc., an earlier delivery may be indicated. Gestational diabetes that are well-controlled with diet or medication. Late preterm birth or early term birth is not recommended for this situation. However, if additional complicating issues exist, such as (IUGR/FGR), preeclampsia, etc., a delivery prior to term may be indicated. Gestational diabetes that are poorly controlled on medication. This scenario requires that delivery take place at 34 – 39 weeks, with specific timing individualized to the mother’s situation. If there are additional complicating issues, such as (IUGR/FGR), preeclampsia, etc., an earlier delivery may be indicated. Mothers with preterm labor or premature rupture of the membranes (PROM) may proceed to delivery spontaneously, but this does not always happen. Expectant management is when the mother and baby are closely monitored and delivery is allowed to occur “naturally.” Choriamnionitis (infection of the amniotic fluid and fetal membranes) and umbilical cord compression are very serious conditions associated with preterm labor and PROM. An infection that travels to the baby when the membranes rupture can cause the baby to have sepsis, meningitis, HIE and cerebral palsy. Umbilical cord compression can cause birth asphyxia, HIE and cerebral palsy. 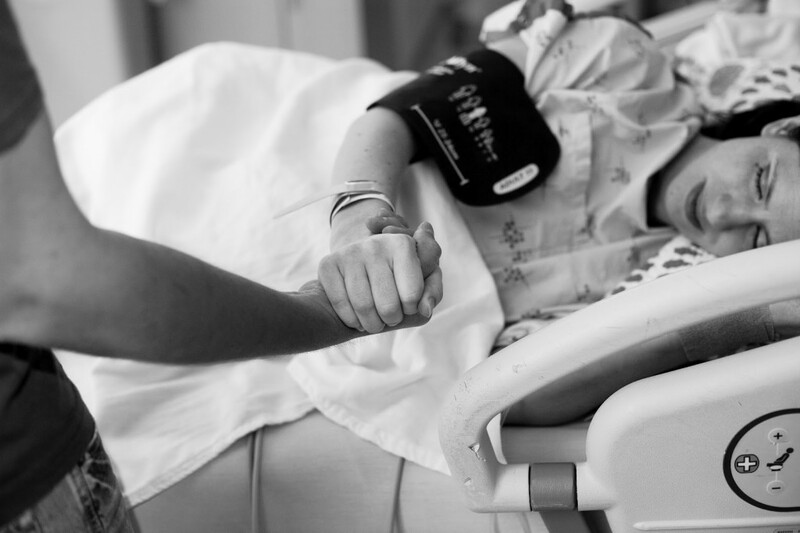 Due to the potential for severe harm if the baby has her cord compressed or gets an infection, expectant management is typically not recommended when late-preterm labor or early-term PROM occur. Experts recommend that obstetricians promptly deliver babies when preterm PROM occurs at or after 34 weeks. Listed below are specific guidelines for preterm labor and PROM. The mother had a previous spontaneous preterm birth and is currently experiencing preterm PROM. When this occurs, the baby can be delivered if her gestational age is 34 weeks or older. If there are additional complicating issues, such as (IUGR/FGR), preeclampsia, etc., an earlier delivery may be indicated. The mother had a previous spontaneous preterm birth and is currently experiencing active preterm labor. Delivery is indicated if there is progressive labor or an additional maternal of fetal indication. If additional complicating issues exist, such as (IUGR/FGR), preeclampsia, etc., an earlier delivery may be indicated. When preterm birth is about to occur, obstetricians must make every effort to prevent associated problems, such as respiratory distress, sepsis, brain bleeds and PVL. When a baby is at or less than 34 weeks of gestation and the obstetrician is planning a preterm delivery, a steroid such as betamethasone should be given in-utero. Betamethasone has been shown to reduce the incidence and severity of respiratory distress syndrome (RDS), intraventricular hemorrhages (brain bleeds), sepsis and PVL. Steroids such as betamethasone help the baby’s lungs and numerous tissues throughout the body mature. Another in-utero medication that should be given when preterm birth is about to occur is called magnesium sulfate. This drug helps protect the baby’s brain. Premature babies are at an increased risk for brain injury and cerebral palsy and magnesium sulfate reduces the risk of the baby having cerebral palsy and other major movement disabilities. Magnesium sulfate is given approximately 24 hours before preterm delivery and it is administered when the baby is between 24 and 32 weeks of gestation. It can be given to women with preterm PROM, preterm labor with intact membranes and indicated preterm delivery. Indeed, an early, scheduled delivery can be crucial in preventing birth injuries such as HIE, brain damage and cerebral palsy. Early delivery allows the baby to be delivered before an underlying condition worsens or causes secondary complications. In addition, planned deliveries enable in-utero drugs to be given and important medical treatments such as blood transfusions to be readily available. Planning can also be crucial in ensuring the presence of enough staff and medical equipment to properly care for the mother and baby. If you are seeking a medical malpractice attorney to help your child, it is very important to choose a lawyer and firm that focus solely on birth injury cases. Reiter & Walsh ABC Law Centers is a national birth injury law firm that has been helping children with birth injuries for almost 3 decades. If your child was diagnosed with a birth injury, such as cerebral palsy, a seizure disorder or hypoxic ischemic encephalopathy (HIE), the award winning medical malpractice attorneys at ABC Law Centers can help. We have helped children throughout the country obtain compensation for lifelong treatment, therapy and a secure future, and we give personal attention to each child and family we represent. Our nationally recognized birth injury firm has numerous multi-million dollar verdicts and settlements that attest to our success and no fees are ever paid to our firm until we win your case. Email or call Reiter & Walsh ABC Law Centers at 888-419-2229 for a free case evaluation. Our firm’s award winning birth injury lawyers are available 24 / 7 to speak with you. Watch a video of birth injury lawyers Jesse Reiter & Rebecca Walsh discussing prevention of birth injuries, which are often caused by medical malpractice. Spong, Catherine Y., et al. “Timing of indicated late-preterm and early-term birth.” Obstetrics and gynecology 118.2 Pt 1 (2011): 323.